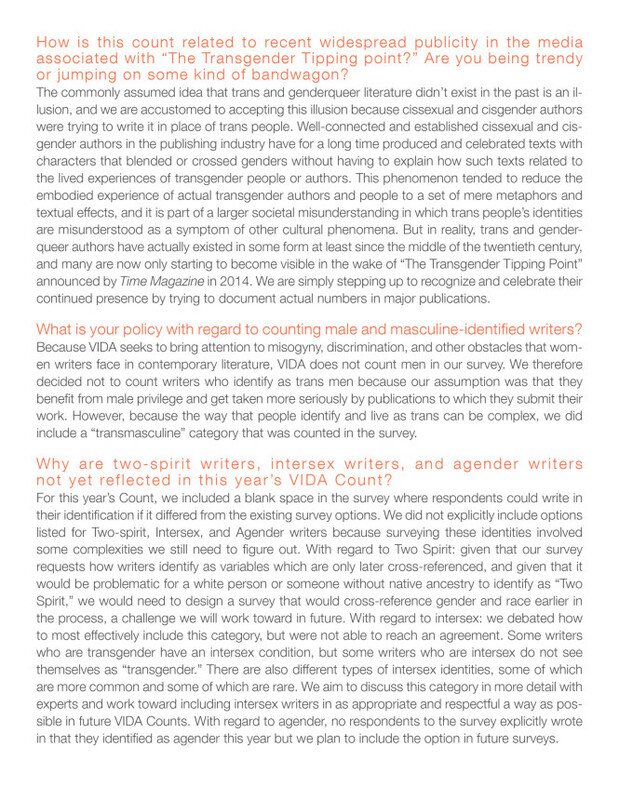 In addition to VIDA’s yearly Count surveying the “Main VIDA Count” and “Larger Literary Landscape” literary journals and magazines, March 30th we released our newly-expanded Intersectional Survey, (to see the survey questions, click here) which tallied self-reported demographics data of writers in the Main Count as according to gender, sexuality identity, race and ethnicity, and disability. 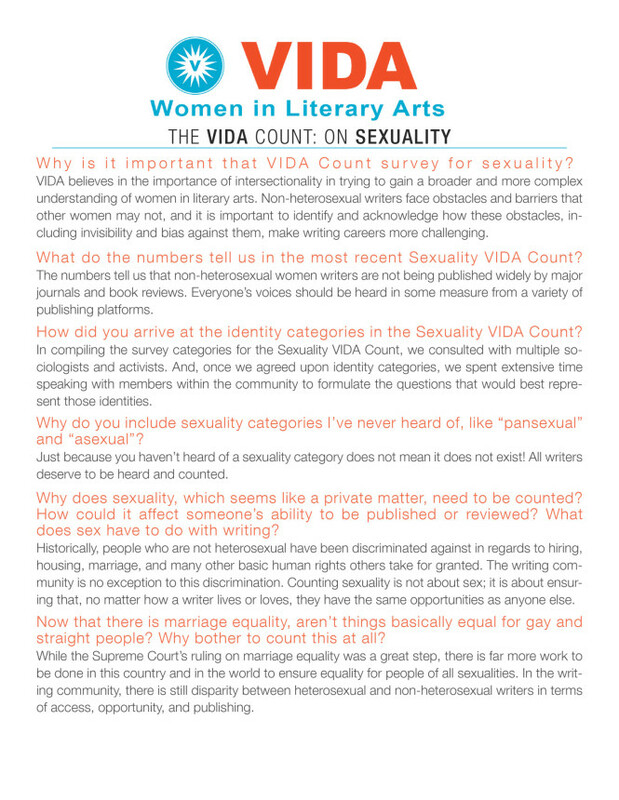 I am proud to say that for the second year in a row, last year being the first Women of Color Count, many VIDAs, including my dedicated and steadfast Survey Count team, and I volunteered many tireless hours to this survey, its outreach, and final release. 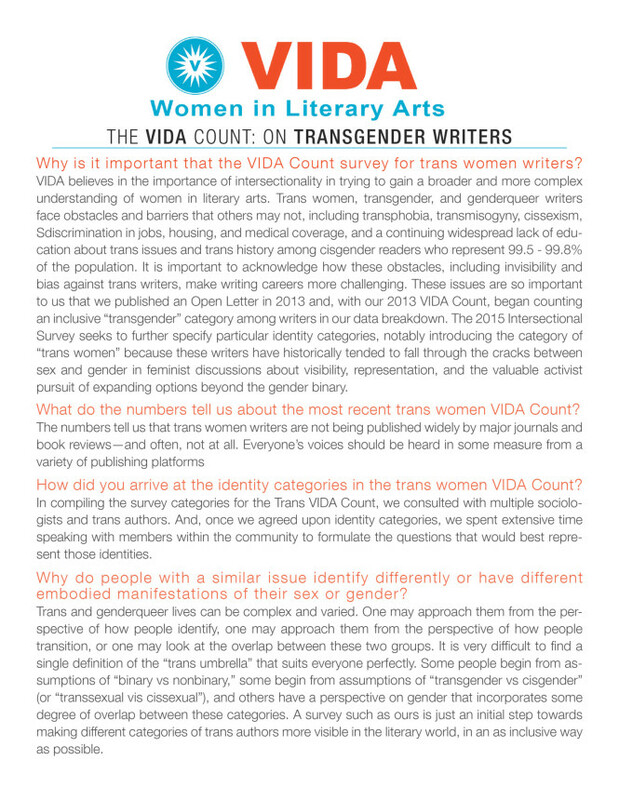 And while we are still refining and complicating the conversation, I have never been more honored to be a part of VIDA: Women in Literary Arts. 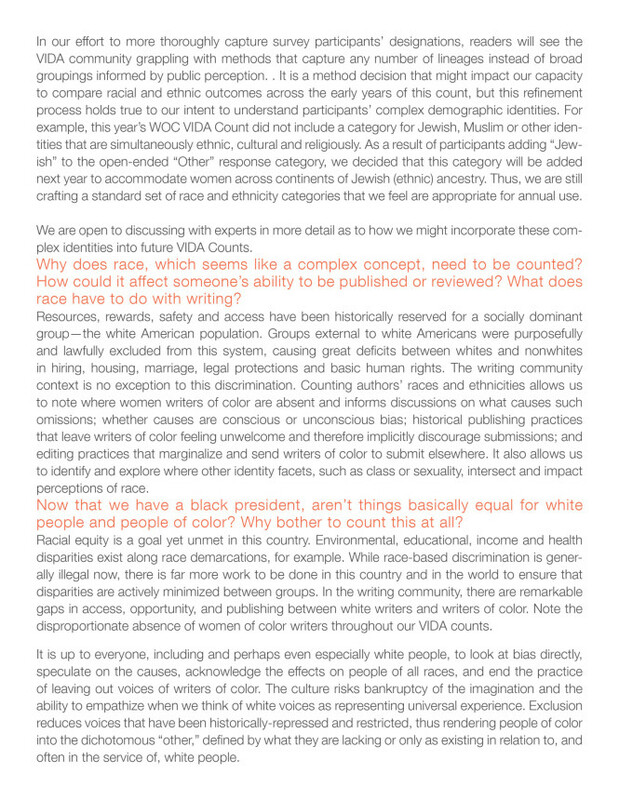 For a full review of the 2015 Count read Amy King’s “A Year of Intersectional Thinking” and the highlights and observations. 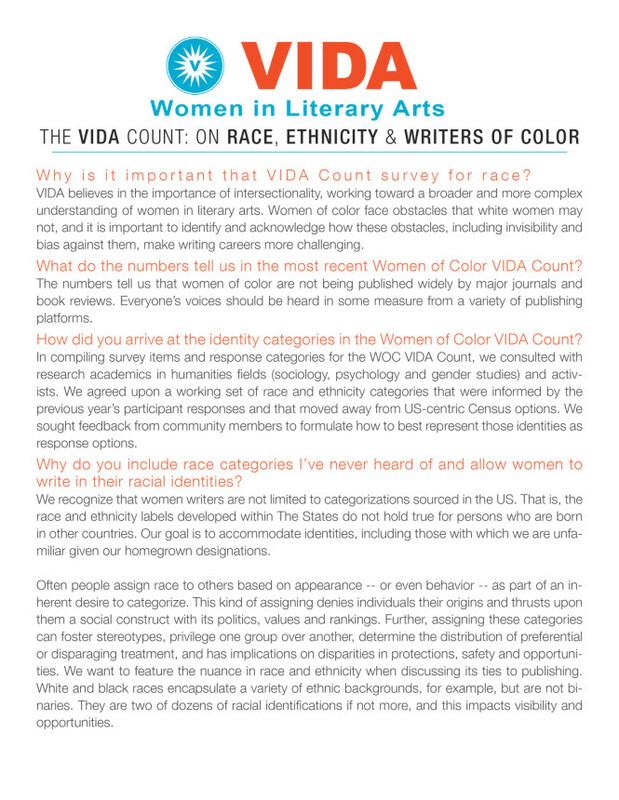 Last year we reported on the inaugural 2014 Women of Color VIDA Count. 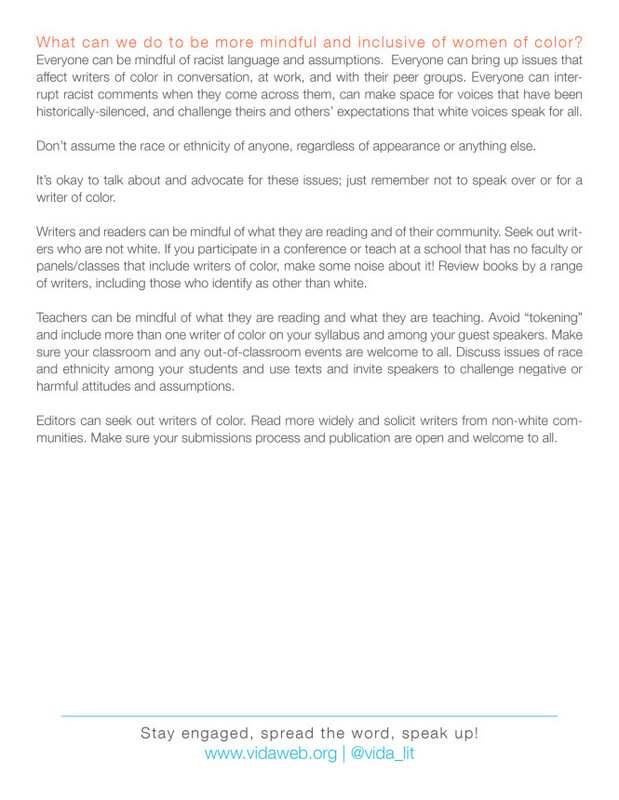 Our method relied upon survey responses from the women writers whose bylines we counted in the fifteen publications that comprised the 2014 Main Count. 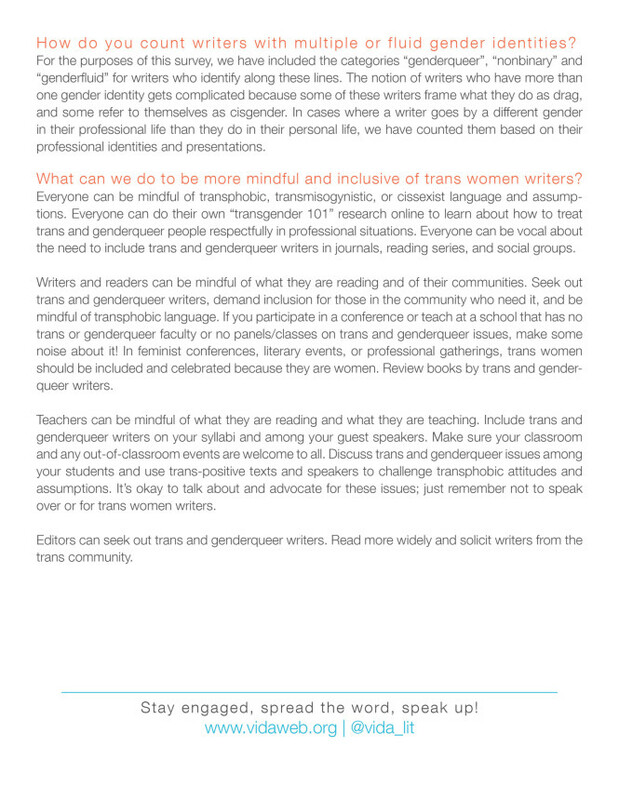 To contact these women writers, our interns reached out to journal editors, searched author websites, and used social media, listservs, and other networks. 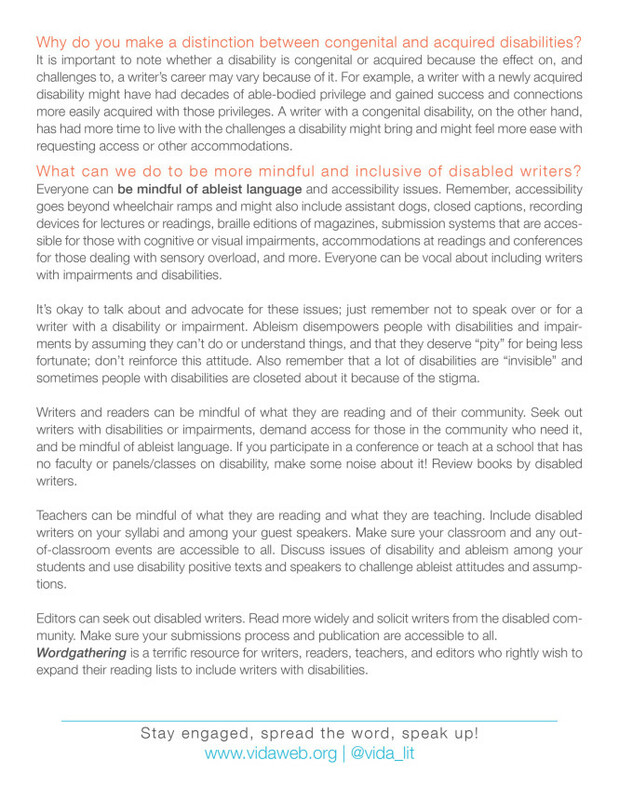 Many thanks to everyone who made this year’s Count possible. 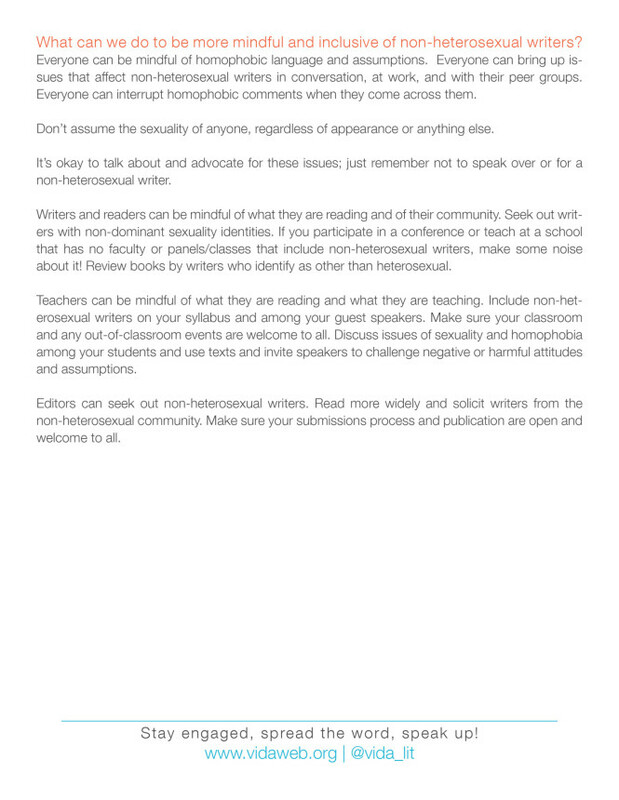 A full list of their names are here. 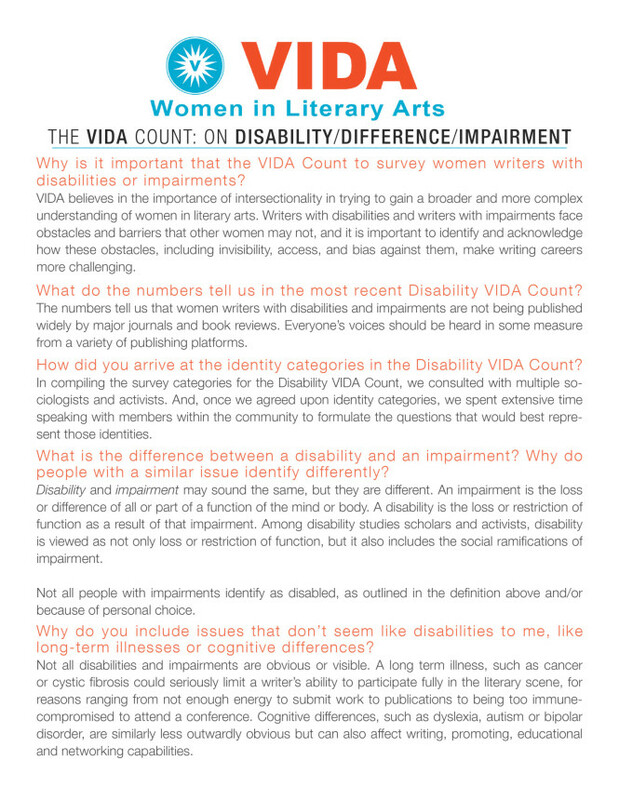 This entry was posted on April 21, 2016 by sheilamcmullin in 1st Appeared on VIDA: Women in Literary Arts, Arts Journals, Feminist Resources, Submissions and tagged VIDA: Women in Literary Arts.